It has been quite awhile since I've talked running! I had every intention of keeping up on race reports and such, even when I changed the focus of this space to reading. Although, I think I needed to do more ACTUAL RUNNING to write about it! Or did I...? 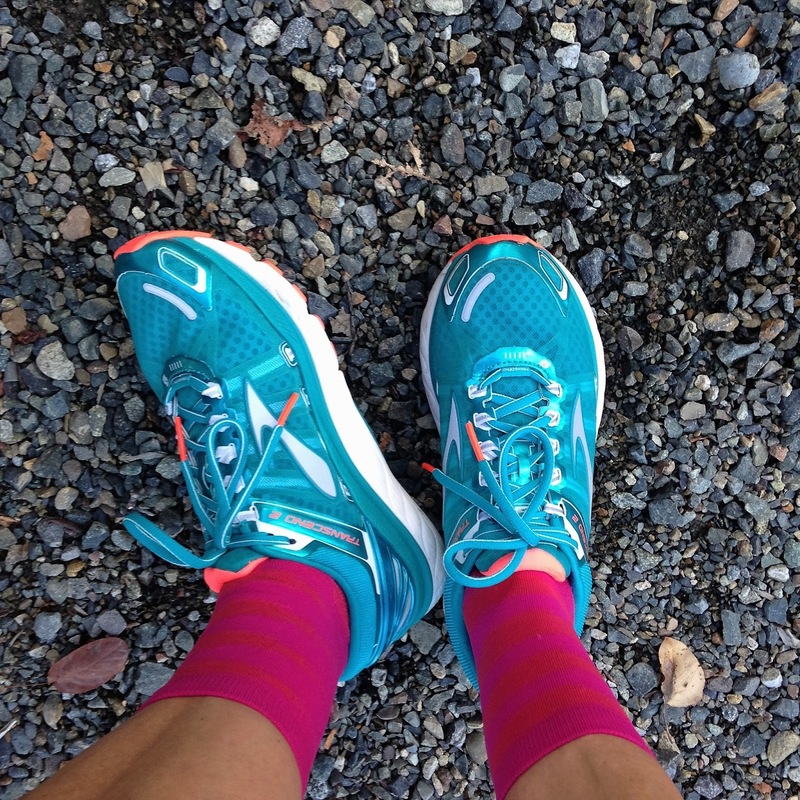 After running, the next favorite subject for runners is injury talk, right? Well, maybe food, but I already talk enough about that. So, about my injury (which I lamented over in my RnR Recap), I feel like I've finally turned a corner and am able to talk about the horror of only running roughly 75 miles since that race. Yep. Looking at my monthly totals on Daily Mile is a shocker. 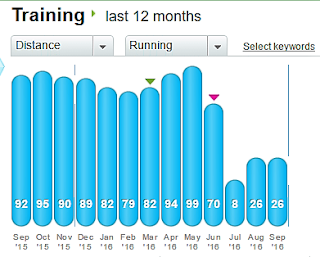 Going from averaging close to 80-100 miles per month to less than that in THREE months is sort of a bummer (as are the 5 pounds I gained this summer when I normally LOSE weight). But, I stuck to my guns and took those initial two weeks at the beginning of the summer off. I still did a little elliptical, bootcamp classes where I walked the running parts and even a few at home step aerobics videos. I tried a super slow three mile run after the two weeks and it felt GREAT. But then I could feel my foot cramp up more than usual at the end of that day, so I made an appointment with a local sports podiatrist and began rolling with a frozen water bottle, using a topical lidocaine cream a few times a day, and the dreaded night splint while taking another two week break. I asked my doc, why not the Strassburg sock and he said - well, I know this actually works. Harumph. Yep, I've been cozying up like this every night. I think it pairs nicely with the mouth guard I already wear nightly, like the old lady I am. Things started looking up pretty quickly, but my formerly trusty Ravenna kicks were still bothering me. And, of course, the podiatrist has a prescription for custom orthotics ready to go when I give him the word. But, I go back and forth on that: will it just alleviate the pain, and be a crutch to any overall problem? Not event factoring in the not-covered-by-insurance COST. I think this is a dilemma many runners with plantar fasciitis face. To go with the orthotics or not? To stretch and support, or to strengthen? In the end, I think I started with the former and am now moving on to the latter. I iced, compressed, wore supportive footwear, rolled and stretched like a maniac for about two months. Now, instead of orthotics, I tried a few shoes suggested by the podiatrist. And OF COURSE the ones that feel great are Transcends which retail at $170. Sigh. Thankfully I can get them at the Brooks outlet for just under $100. 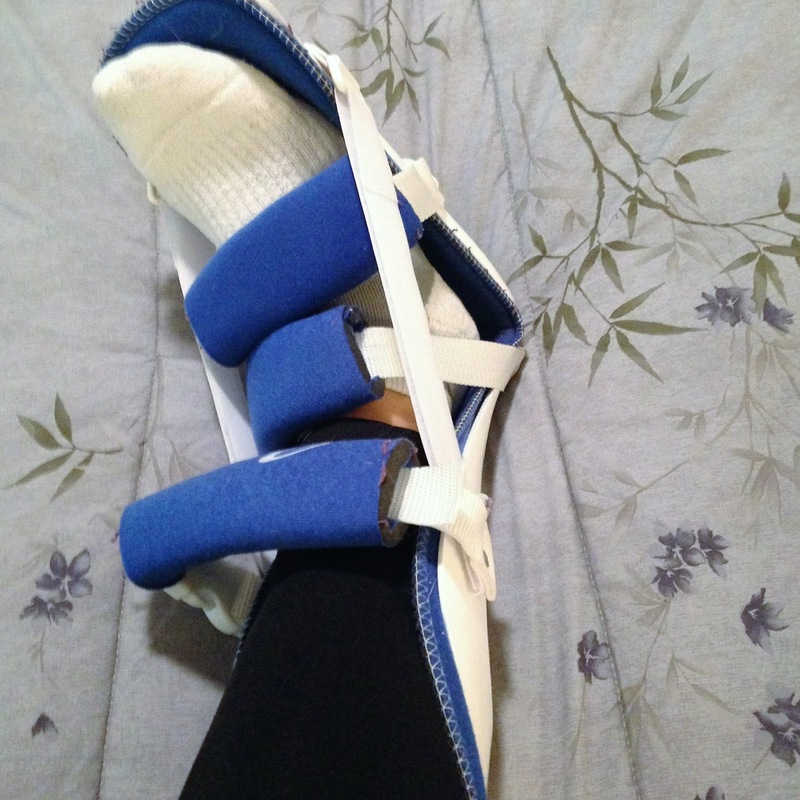 I am weaning myself off the night splint (yay!) and the lidocaine cream and working on foot strength by walking barefoot more, scrunching up towels with my toes and picking up small objects - please feel free to invite me over to pick up your child's Legos with my toes after I've cleaned ours! In addition to my feet, I figured now is as good a time as any to trying some sort of overall strength plan. I do the weight machines at the gym pretty regularly and get some good strength training in bootcamp. Plus, with my broad shoulders, I've always done pretty well with upper body work, so it was never a focus for me. But, I think getting to know the weight room and really see measurable results will be a good challenge. I'm hopeful that being able to lift more weight over time will be as rewarding as running faster over time. After doing a bit of research, the plan in The New Rules of Lifting for Women seemed to be the easiest to follow and a good place for a noob to start. The first stage workouts are pretty easy to follow so far, although it was a little intimidating waiting for the huge dude with a weight belt finish up on the squat bar. Yes, the workouts are supposed to take about 20 minutes, but they are not factoring in waiting around for people to let you get a set in! Ah well, a small complaint compared to a foot I couldn't run on. Slowly, but surely, I'm inching my way back and am mostly pain free. I'm in that place where I'm wondering if it actually hurts or if I am being paranoid. I'm being careful, though, still only running three to four miles at a time, no more than three days a week (up from two last week). Hopefully I'll be doing some long and slow rainy runs this fall - my favorite. 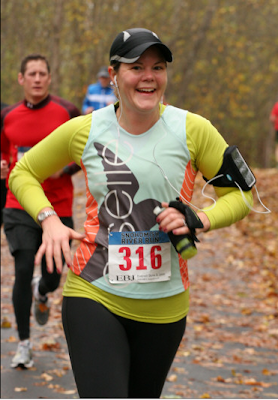 Ah, look how happy fall running makes me! This was from the first Snohomish River Run and I hope to be in good enough health to amble the 10K next month. (Remember, 15% off this year's race with code: READANDRUN16) Regaining speed is not at ALL on my radar, I just want to be able to get outside and RUN. Have you dealt with the dreaded plantar fasciitis?? Like I said, it's on it's way out - but I want to keep it away and am always interested in any tips and tricks! I had really bad plantar fasciitis in college and got custom orthodics. They were a game changer. I'm sure you already read this, but for me it was all caused by calf tightness so I tried to do yoga/stretch/address that, too, but nothing worked as well as the orthodics. Going on 12 years, many miles (3 or 4 pairs later) and still swear by them. Yes! I have been using the stick religiously on my calves. Your giving the thumbs up to orthotics is definitely swaying my decision... I was thinking that if we have a bunch left over in our FSA this year, I'll probably get them.